Hong Kong Space Museum is pretty much a must for every Hong Kong school. I went there in a school trip when I was in the elementary school. I still see that schools take a big group of students over there nowadays. There are several things about Hong Kong Space Museum have never changed at least for 20 years. But it doesn't mean in a bad way. 1) Building - The dome-shaped building stays the same, so as the color. I don't think that there was any expansion either. If there was, it would be very limited. 2) Exhibition Room - The exhibit has been changing and updated continuously. But the room has been on the same floor all these years. 3) Theater - It is now called the Omnimax, Dome Show and so forth. When we were there in Oct 2012, the theater was renovated. The seats are more comfortable although those seats have been very comfortable then. It is even better now. 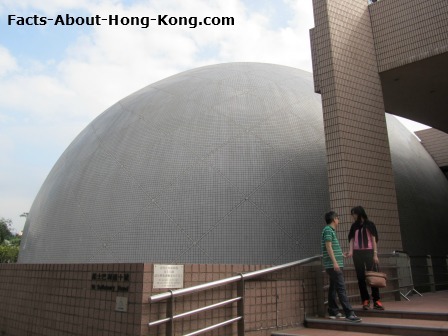 When the dome-shaped theater first came out, it did attract a lot of curious Hong Kong people. Many of them just wanted to check it out. Nowadays, it attracts a lot of families which want to watch some educational short movies as entertainment. Now, talking about tourist-friendly. Check this out. For visitors don't speak in Cantonese, they have options to pick other languages in the theater. All they need to do is to put on the headphones and pick a different language for the movie. There are 4 different languages for you to pick, including English, Cantonese, Mandarin and Japanese. Last time when we were there, we watched a dinosaur documentary. We picked that one because my son is a HUGE fan of dinosaurs. Of course, he enjoyed it very much. The movie lasted about 39 minutes. Many movies are documentaries produced by the National Geographic, Discovery channels and so forth. Due to the dome-shaped theater, you are watching the almost-3D version. Of course, it can't compare to the 3D or 4D movies in the Hong Kong Disneyland. But considering the price which is way much lesser, it is still worth it. When we got out, we have per-scheduled appointment that we didn't have time to check out the rest of the museum, such as the exhibition room. But the inside of that room, it is like other space museum in other countries. It is dark so that it gives you the feel of stepping into the space. This section is more suitable for children at least 7 years or above. Otherwise, it could be a boring subject for them. Is Hong Kong Space Museum For You? The HK Space Museum may not be as big as any other international museums of the same theme. However, it definitely has everything you need to see, learn and watch. Families with children will have a lot of fun here with a very reasonable price. For my son, English is his mother language. He does understand Cantonese. Going into the IMAX movie, I made him to watch the movie in Cantonese which is definitely another great learning experience. So, parents, consider to combine learning and entertainment in one shot. One stone, two birds. You may think that the Hong Kong Space Museum is small and has not much to offer. But, in my opinion, it offers the condensed information. Coming from a big family, I understand that it is hard to make everybody happy at the same time. Therefore, having a condensed tour, it will make it easier on everybody, especially if you have children. The Hong Kong Space Museum is located near the Hong Kong Avenue of Stars, Hong Kong Museum of Art (coming soon link to Hong Kong Museum of Arts page), some great shopping malls in Tsim Sha Tsui and across from the Peninsula Hotel Hong Kong. If you like classical music, Chinese opera, Broadway show and other alternative performing art, check out the Hong Kong Cultural Centre (coming soon) next to this museum. For people like indoor activities, you can easily find some great entertainment here. Check out the website for some package price. One stands out to me is that you could get a 10% discount if you have the Ocean Park "SmartFun Annual Pass". 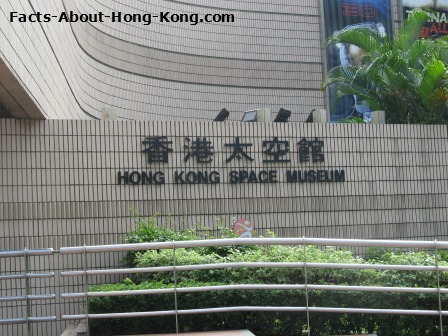 Hong Kong Space Museum is one of the museums that you can get a week pass at a very low price. Check out this link. Take Star Ferry going to Tsim Sha Tsui. Turn right at the exit and go passed the Cultural Centre. 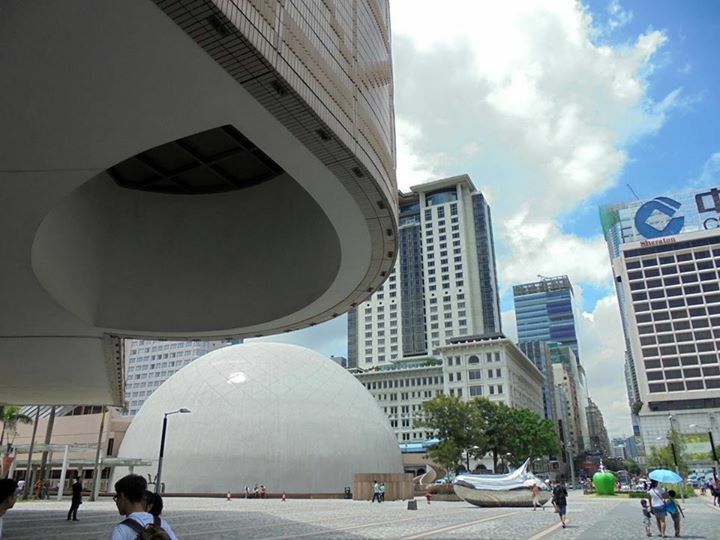 Learn more about the HK Space Museum.